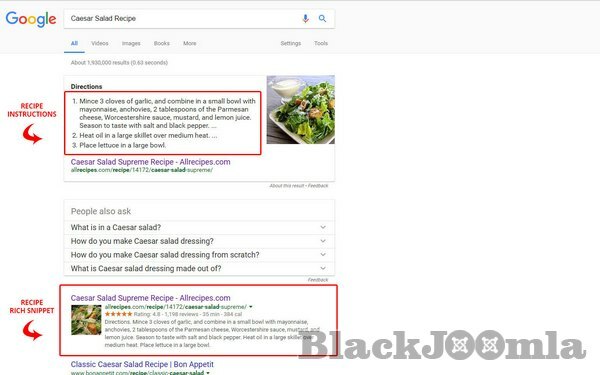 Google Structured Data Markup is a SEO Joomla extension that allows digital marketers to adopt Google Structured Data and Rich Snippets - Cards without requiring them to be an expert in the Schema.org language or writing code. 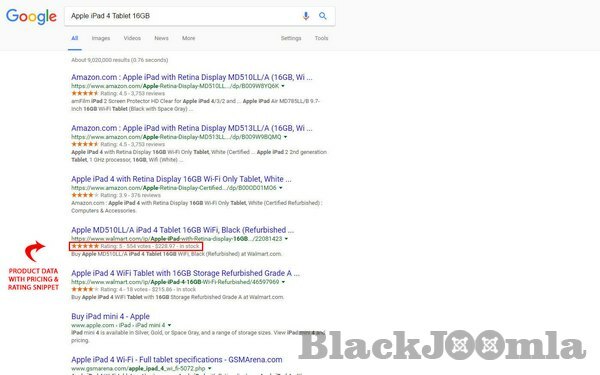 Take control of your Google Search Results by adding Google Structured Data Markup to your Joomla! website and boost your SEO. Seameless compatibility with Joomla Content, K2, VirtueMart, HikaShop & Zoo Content Builder. 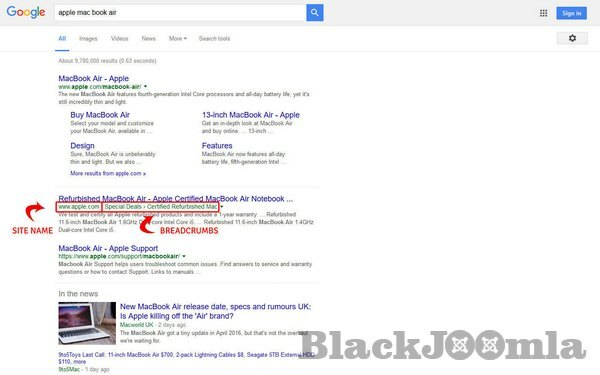 Indicate the preferred name you want Google Search to display in Search results. 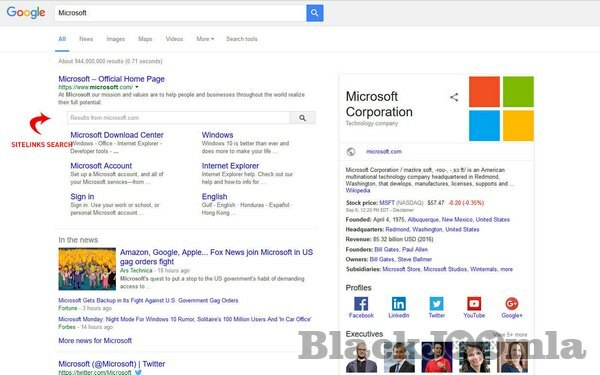 Specify the image Google Search uses for your organization's logo in Search results. Indicate each inner page position in the site hierarchy automatically. 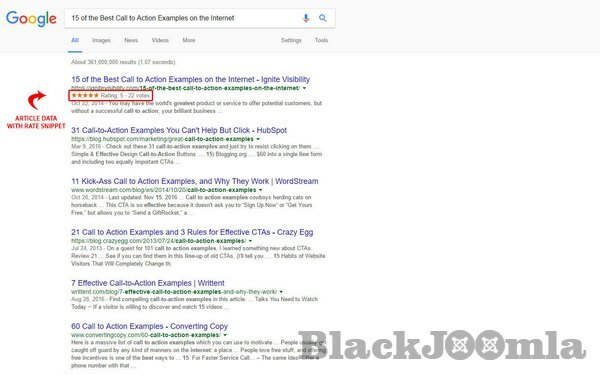 Expose a search box scoped to your website when it appears as a search result. Mark up your organized events so that users can discover events through Google Search results and Google Maps. Provide detailed product information in rich Search results such as product reviews, stars rating, pricing and availability. Provide rich cards for your recipes, such as reviewer ratings, cooking, preparation times and nutrition information. Mark up your video content with structured data such as the description, thumbnail URL, upload date, and duration. 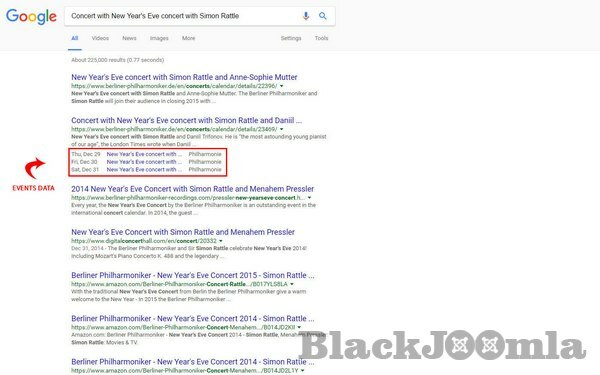 Music actions make Google Search an entry point for discovering and listening to music artists and their songs. 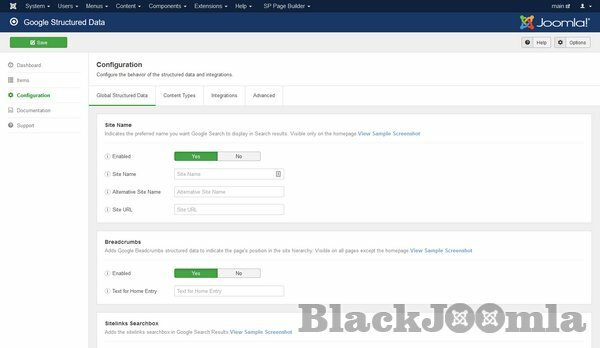 Add Structured Data to Joomla! Articles. 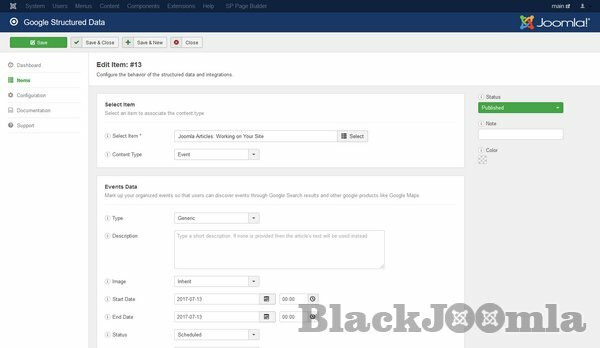 Add Structured Data to EasyBlog posts. Add Structured Data to HikaShop products. It supports Auto-Mode. Add Structured Data to JShopping products. It supports Auto-Mode. Add Structured Data to K2 items. Add Structured Data to RSBlog posts. 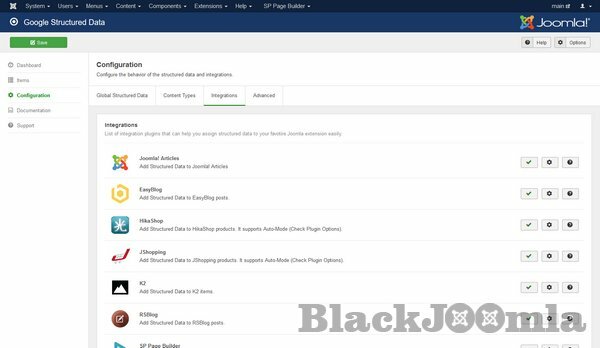 Add Structured Data to SP Page Builder pages. 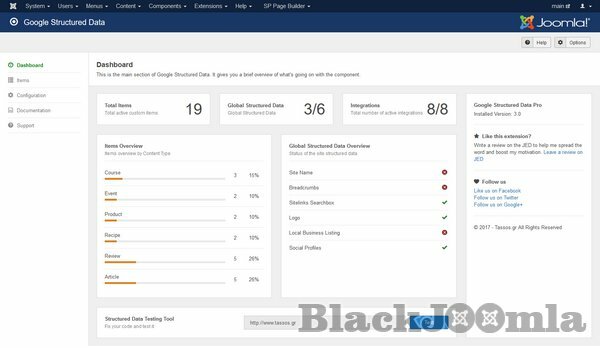 Add Structured Data to VirtueMart products. It supports Auto-Mode (Check Plugin Options). Add Structured Data to Zoo items. 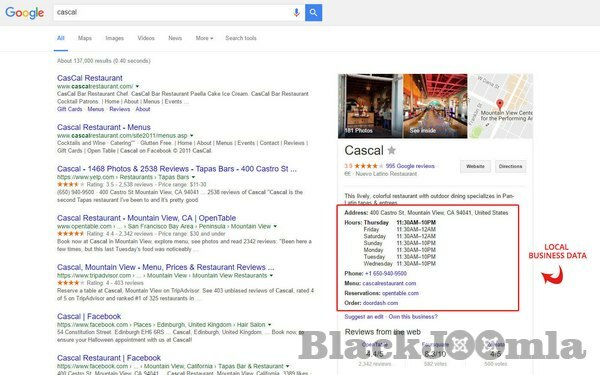 Add Structured Data to Menu Manager Items. 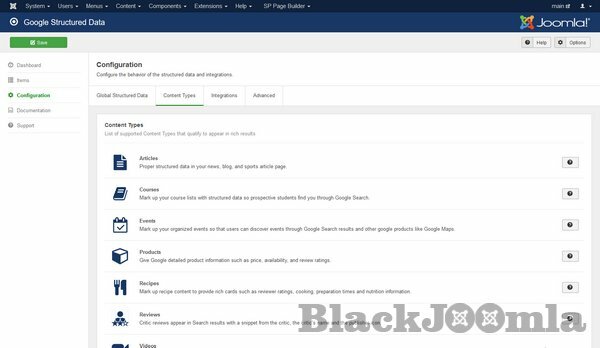 Any component can now have structured data!